The 2014 Giant Factory Off-Road Team presented Brady Bunch-style…though we always pictured Decker as Alice. Photos courtesy of Giant Bicycles. Returning riders Danny Hart, Adam Craig, Kelli Emmett and Carl Decker anchor the roster of Giant’s Factory Off-Road Team as the company adds to an already impressive stable of riders across cross country, enduro and downhill disciplines. 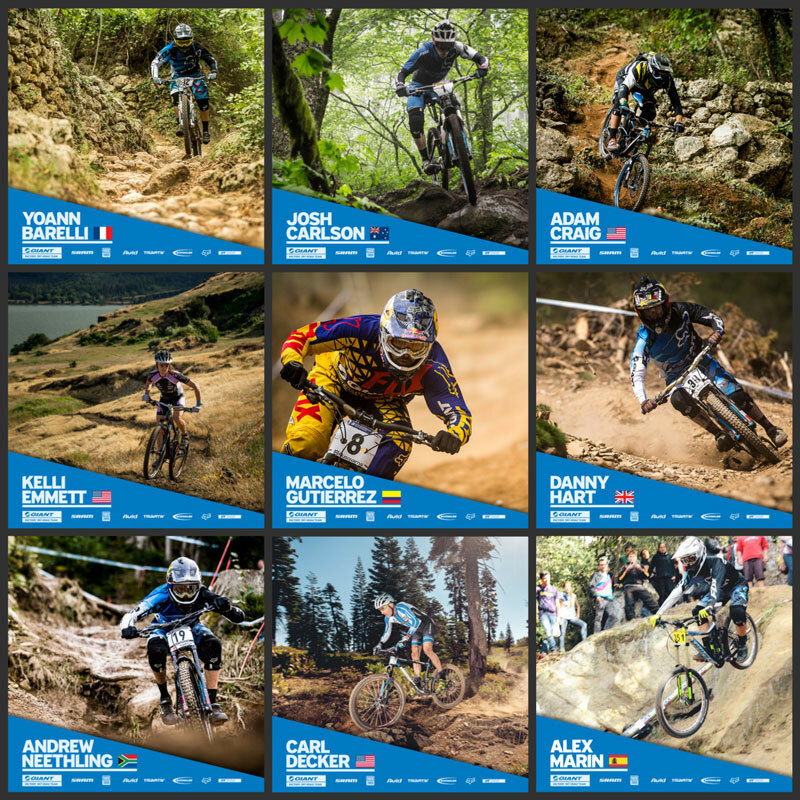 This year’s lineup of nine riders includes world champions, Olympians and national champions from all disciplines of off-road racing. 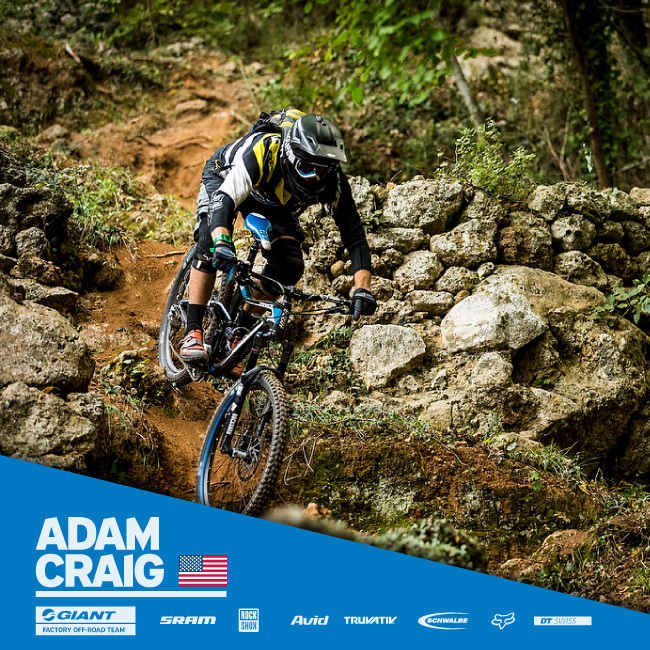 Leading the enduro-focused charge is the multi-talented Craig who finished 9th overall in the Enduro World Series and was the top North American in points. 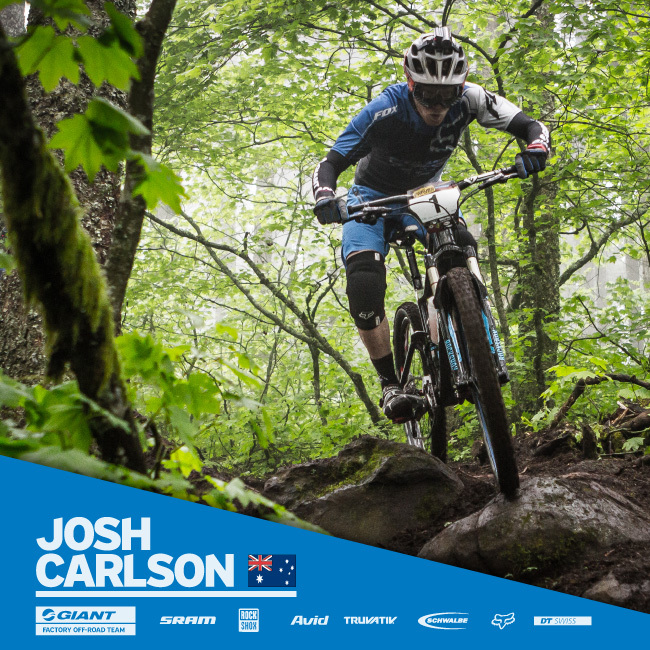 The former US Olympian moved from primarily racing cross country to enduro last season and is optimistic about his chances as her further focuses on the newer discipline. Video: Adam Craig is pretty much good at everything…including nose wheelie cyclocross turns. 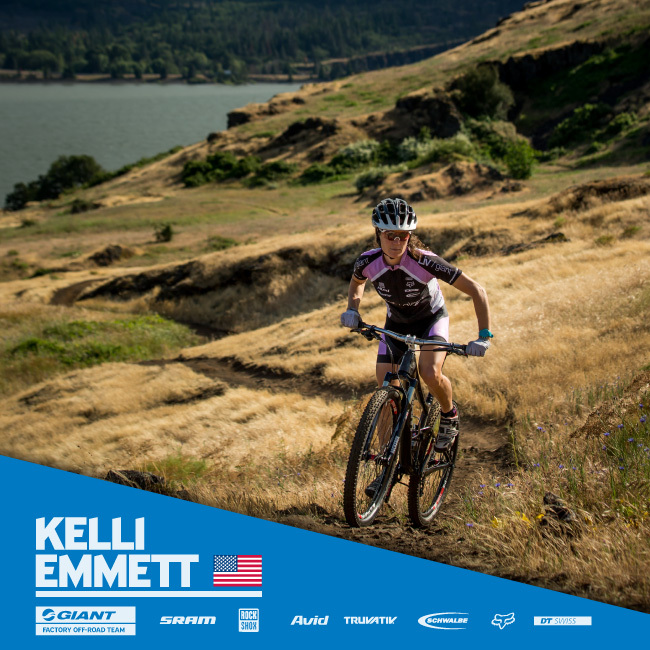 Craig is rejoined on the team by counterpart Kelli Emmett, who was the top North American female in the EWS with her 10th place overall finish. 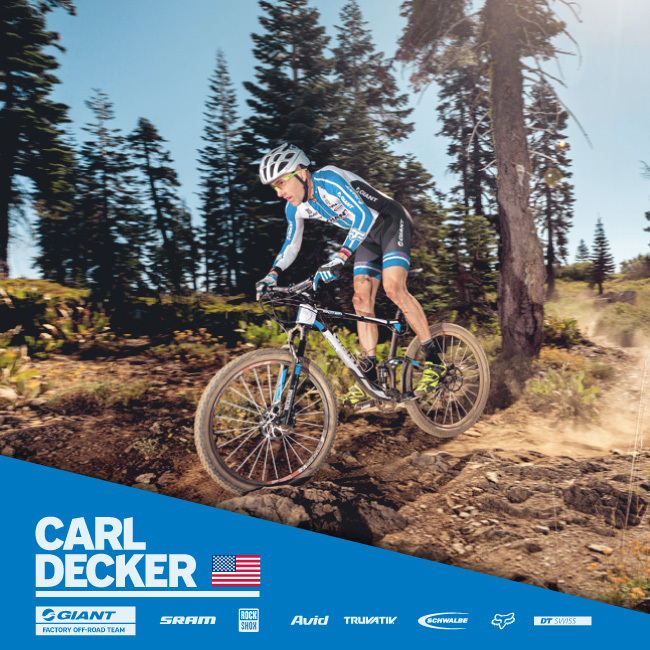 Longtime teammate and four-time defending Downieville champ Carl Decker will punch the clock for Giant once again, as will Australian ripper and Giant newcomer Josh Carlson who’s looking to come back strong after an injury-plagued 2013. Another newcomer to the team is French enduro racer Yoann Barelli. The 28-year-old is a former French national downhill champion iwho turned his attentions to enduro and finished 15th overall in last year’s EWS. The men’s enduro riders have a quiver of Giant 27.5 bikes to choose from, including the Trance Advanced 27.5 as well as prototype enduro bikes currently in development. Emmett will once again compete primarily on the Liv/giant Intrigue and Lust Advanced. Video: Danny Hart’s 2011 world championship ride—along with as Rob Warner’s epic race call—is hands-down the most exciting three minutes and eight seconds of bike racing ever recorded. 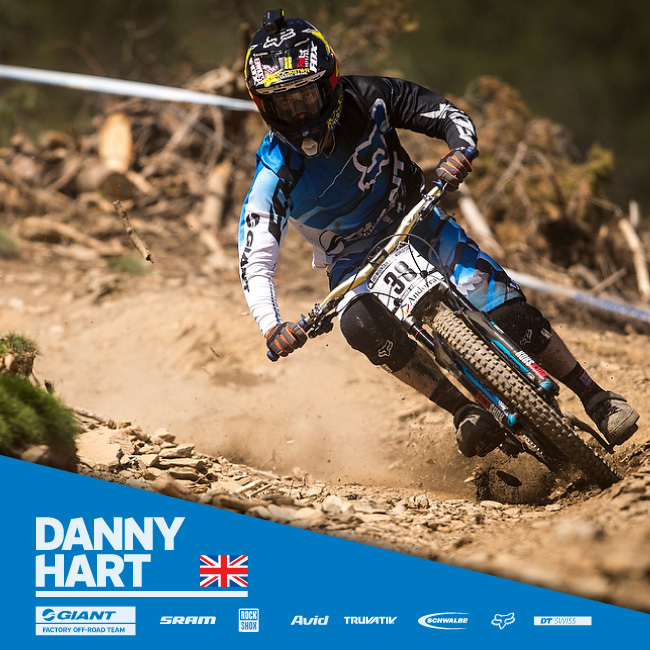 Leading the lineup of downhillers this year is former world champion Danny Hart. Coming back after a 2012 injury, the 22-year-old from Great Britain had two podium finishes in last year’s World Cup series and is looking to improve on his 9th place overall ranking from 2013. He’s joined by veteran South African rider Andrew Neethling, who last month won his first major race of 2014, the African Continental Downhill Championship. 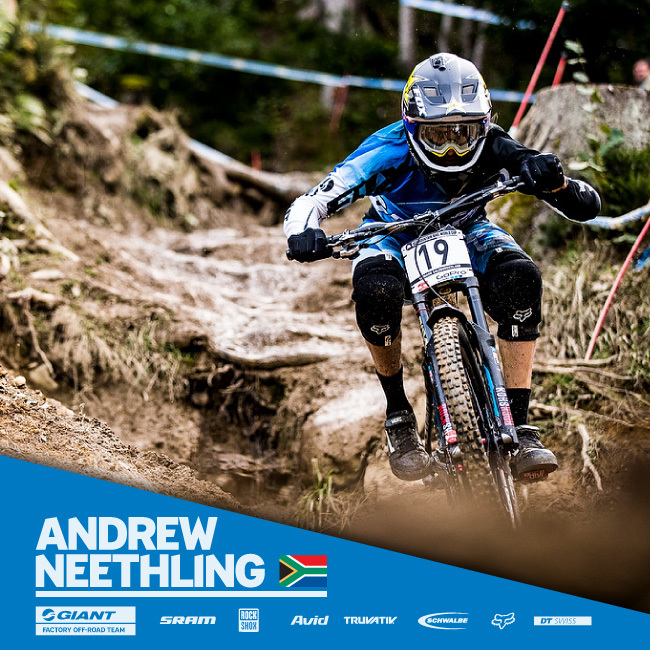 Neethling battled some injuries in the early part of the 2013 season but still managed a podium performance at the Hafjell, Norway, World Cup and finished 12th overall. 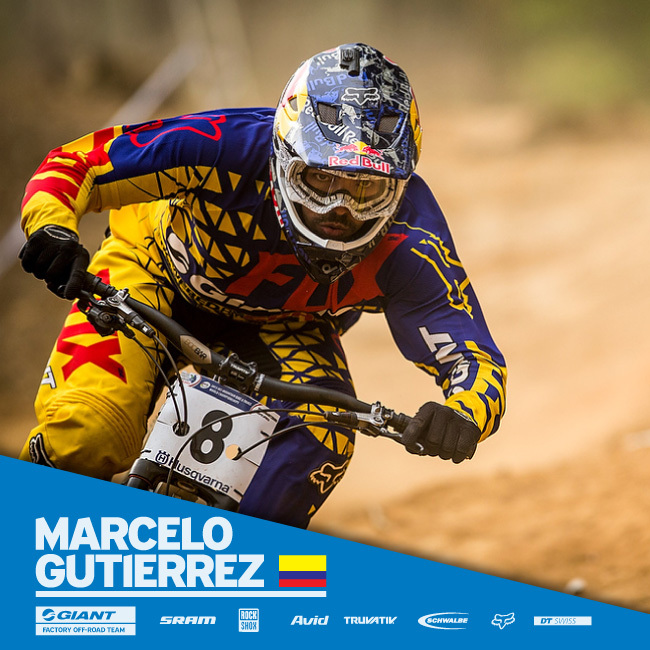 The third returning member of the Factory Team’s downhill unit is four-time Colombian national champion Marcelo Gutierrez. The 23-year-old had a breakthrough debut season with the team last year, finishing 11th overall in the World Cup and scoring an impressive eighth place at the World Championships. Gutierrez is also known as one of the world’s best urban downhill racers, with wins at legendary races such as the Valparaiso Cerro Abajo in Chile. New to the DH squad this year is junior racer Alex Marin of Spain. 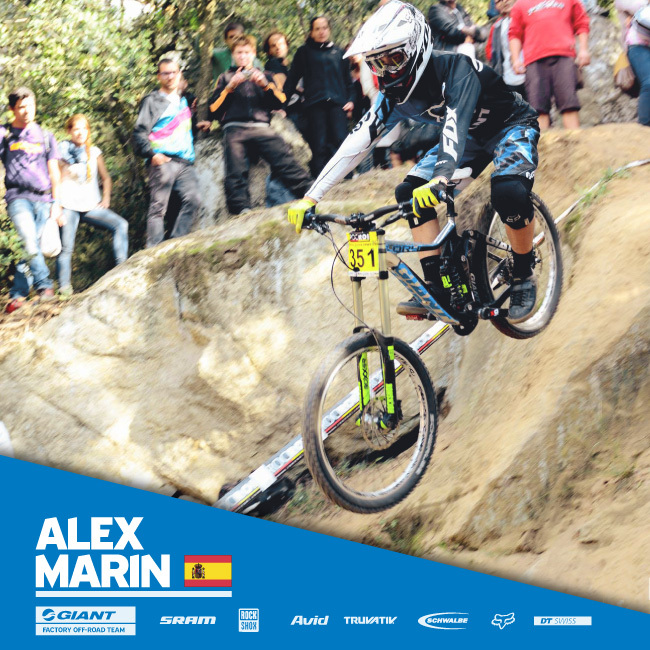 Last year Marin won the Catalonia Cup in Spain and finished 6th at the Spanish Downhill Championships. Might We See Some 27.5-Inch Wheel DH Bikes? 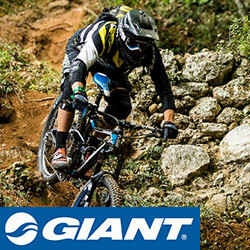 Hart, Neethling, Gutierrez and Marin compete mainly on the Giant Glory downhill bike. Neethling’s win at the African Continental Championships was aboard a prototype bike that may see more action from the riders in 2014. All Giant Factory Off-Road Team bikes will be “Powered by SRAM” featuring the latest cutting edge components including SRAM drivetrains, Truvativ componentry, Avid brakes and RockShox suspension. Other major sponsors include DT Swiss wheelsets and Schwalbe tires. Fox Head will supply apparel for gravity and enduro events. For photos, videos, news and other inside information on the Giant Factory Off-Road Team, follow them on Facebook at facebook.com/giantfactoryteam. The Giant Factory Off-Road Team co-sponsors include SRAM drivetrain; Truvativ cockpit; Avid brakes; RockShox suspension; Schwalbe tires; DT Swiss wheelsets; Fox Head apparel; JL Velo XC race kit; MRP chain guide; Fizik saddle; Crank Brothers pedals; ODI grips; Honey Stinger nutrition; Park tools; Finish Line lubrication; Thule racks; NoTubes.com tubeless technology; and Giro footwear.